RDDRDDAP3 global satellite tracker is a versatile, two-way asset tracking, GPS and sensor monitoring solution, especially designed for unpowered assets. Contact us to start using the RDDAP3 today. 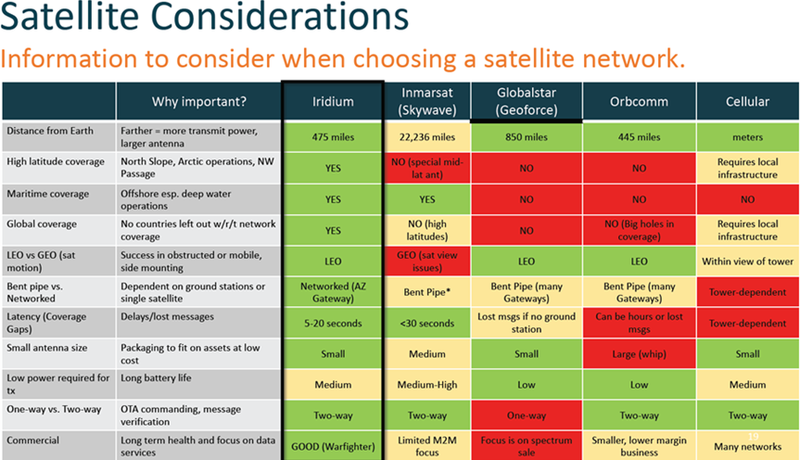 The Iridium satellite network provides complete global coverage with two-way (duplex) data links on the ground, in the air, and on the sea anywhere on planet Earth. Iridium links provide uninterrupted communications links between remote equipment and enterprise back office applications. The network enables over-the-air queries, configuration and mode changes on demand from Red Dog Logistics web application or via easy-to-use API's.